Brad Connors accomplishes what only a 37% of wealth managers in the Twin Cities-area have achieved. 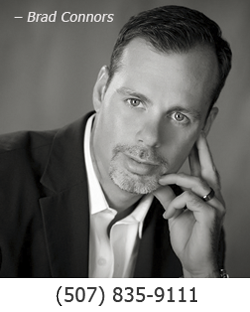 Waseca , MN – Five Star Professional is pleased to announce Brad Connors, iWealth, has been chosen as one of the Twin Cities’ Five Star Wealth Managers for 2017. “Being selected as a Five Star Wealth Manager for five consecutive years means a lot to me and our team at iWealth. We show up to work every day to serve our clients and help them achieve the goals they have set for themselves. Having that hard work and dedication recognized is a special honor,” stated Brad Connors. Brad Connors, Certified Wealth Strategist®, has been advising individuals, corporations, and institutional investors since 1994. 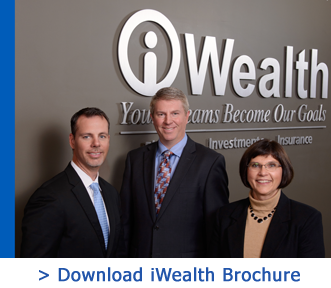 Brad, a native of Waterville, built his practice, iWealth, in Waseca, MN. Brad affiliated with Investment Centers of America, Inc. in 1998 and has consistently been in the top 5% of his peers, including 2010 ICA Representative of the Year. Brad has been on the forefront of helping other advisors grow their practice and teaching them what they should be working toward to have a profitable and enjoyable business. Brad finished authoring his first book in 2015, “Fish Don’t Clap: Planning For a Purposeful Retirement.” The book shines a light on the 20 plus years of experience Brad has working with clients to define what they truly want their retirement to look like. For Brad, creating a fulfilling retirement for his clients is about more than figures – it involves taking a family’s whole life into account, from values to goals and everything in between. Brad’s unique approach with clients involves “Emotional Intelligence,” or having the wherewithal to help clients define, fund and reach their goals. Client conversations change from performance and products toward goal-based planning. This approach is truly different from what clients hear from Brad’s competition, and it simplifies the client’s world of personal finance. His goal is to provide a superior level of customer service by listening and addressing the specific needs, concerns and goals of each individual client. registered investment adviser or a registered investment adviser representative; 2. Active as a credentialed professional in the financial services industry for a minimum of 5 years; 3. Favorable regulatory and complaint history review (As defined by Five Star Professional, the wealth manager has not: A. Been subject to a regulatory action that resulted in a license being suspended or revoked, or payment of a fine; B. Had more than a total of three customer complaints filed against them [settled or pending] with any regulatory authority or Five Star Professional’s consumer complaint process. Unfavorable feedback may have been discovered through a check of complaints registered with a regulatory authority or complaints registered through Five Star Professional’s consumer complaint process; feedback may not be representative of any one client’s experience; C. Individually contributed to a financial settlement of a customer complaint filed with a regulatory authority; D. Filed for personal bankruptcy; E. Been convicted of a felony); 4. Fulfilled their firm review based on internal standards; 5. Accepting new clients. Evaluation criteria – considered: 6. One-year client retention rate; 7. Five-year client retention rate; 8. Non-institutional discretionary and/or non-discretionary client assets administered; 9. Number of client households served; 10. Education and professional designations. Wealth managers do not pay a fee to be considered or placed on the final list of Five Star Wealth Managers. Award does not evaluate quality of services provided to clients. Once awarded, wealth managers may purchase additional profile ad space or promotional products. The Five Star award is not indicative of the wealth manager’s future performance. Wealth managers may or may not use discretion in their practice and therefore may not manage their client’s assets. The inclusion of a wealth manager on the Five Star Wealth Manager list should not be construed as an endorsement of the wealth manager by Five Star Professional or this publication. Working with a Five Star Wealth Manager or any wealth manager is no guarantee as to future investment success, nor is there any guarantee that the selected wealth managers will be awarded this accomplishment by Five Star Professional in the future. For more information on the Five Star award and the research/selection methodology, go to fivestarprofessional.com. 2,304 Twin Cities wealth managers were considered for the award; 836 (37 percent of candidates) were named 2017 Five Star Wealth Managers.